For rapid results, your online survey can be conducted in-hall, in-street or in-home. We deploy iPads, laptops or PCs for our online surveys, based on the nature of the questionnaire and survey. We can also provide CAWI (Computer Assisted Web Interviewing) for the occasions when you need instant, live results. Depending on the circumstances at the location selected, by using Wi-Fi or 3G, we can ensure you obtain your results in real-time. 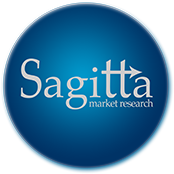 Of course, since Sagitta Market Research Ltd is a member of the Market Research Society (MRS), all our interviewers and supervisors work in accordance with MRS guidelines when carrying out online research. Please contact us to discuss your online research requirements further.